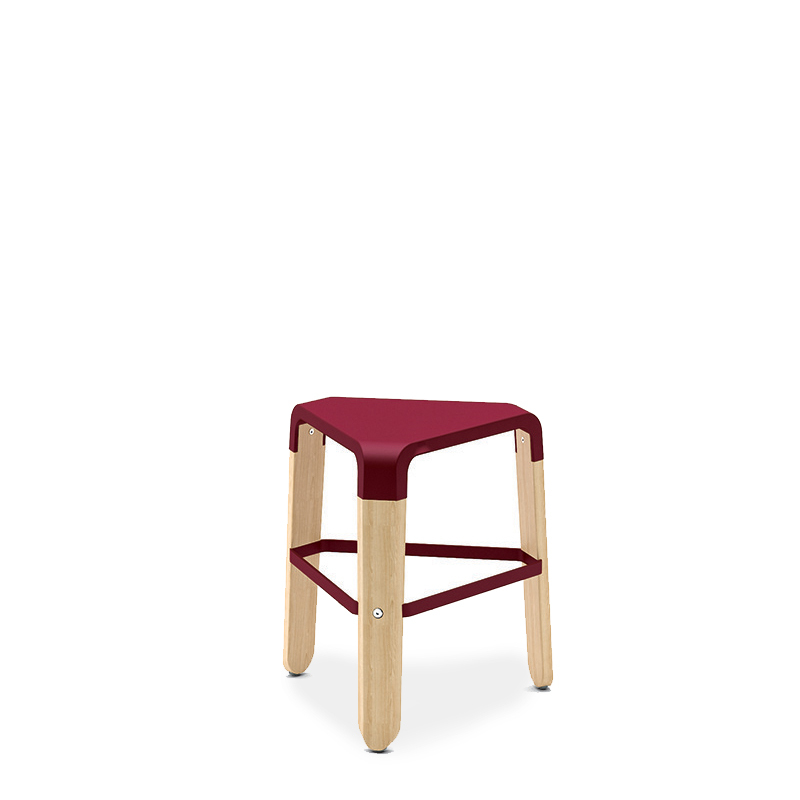 Wooden stool with fibreglass-filled polypropylene seat, solid beech base varnished natural or lacquered white. The steel footrest is painted in the same finish as the shell, and rubber feet. Available in three heights: low, medium and high.